Rajinikanth asked his supporters not to speak on politics and focus on a grass-root-level build-up. 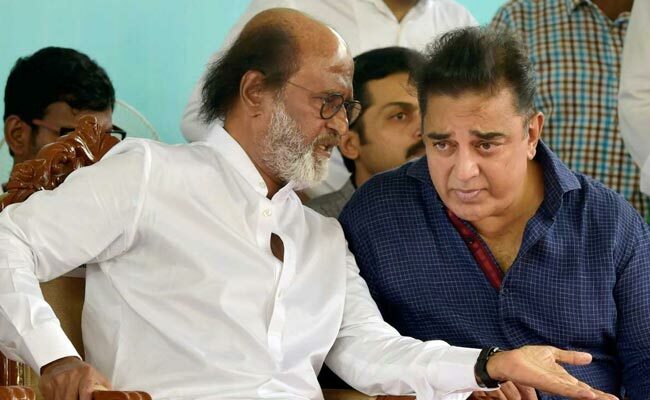 Chennai: Superstar Rajinikanth's announcement that he would enter politics, has been greeted with enthusiasm by the other icon of Tamil Nadu's silver screen, Kamal Haasan, who announced his political ambitions last month. Both actors have promised to set up their own political parties and their entry is expected to liven up the politics of Tamil Nadu, which has been dominated for decades by the two south Indian parties. "I greet Rajini's social concern and political debut. Welcome welcome," read the tweet of Mr Haasan, who had lately been challenging the ruling AIADMK for months over its performance. His frequent allegations of corruption drew the wrath of the ministers of the ruling party. Mr Haasan's response was to ask his supporters to tweet examples of corruption in the state. He has also promised a whistle-blower app by January. Rajinikanth, in contrast, has asked his supporters not to speak on politics and focus on a grass-root-level build-up. Asking his fans to become "watchdogs" who will rope in people in every village he said, "Until all this happens, none of us, including me, will criticise politics or politicians. We know to swim out of this political river. We have not gotten into this river yet." His entry into politics has also been welcomed by the BJP, which is looking to make inroads in the southern state and had initially tried to draw him in its ranks, issuing an open invitation. Party chief Amit Shah said Rajinikanth was welcome to join the party and Prime Minister Narendra Modi had met him during a visit to Chennai last month. 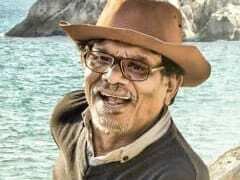 Today, its state chief T Soundararajan tweeted: "Welcome actor Rajinikanths political entry with motto of corruption free good governance which is the sole aim of BJP". The Congress too, welcomed Rajinikanth's intended entry into politics. Party spokesperson and actor Khushboo Sundar tweeted, "Rajinikanth announces his political plunge... Anybody who thinks can make a difference to the ideas and has an ideology, aspires for harmonious India, feels the pain of losing secularism to communalism and dreams of a democratic India, should come to politics".